With pleasure I would like to inform you about the Expo with Playmobil that I organize in the place I live, with the help of the local Educational and Cultural Association! This is the first Expo in Greece and 17 collectors will take a part, with 18 amazing dioramas on April 1-2/2017!! Re: Expo Playmobil Chalkidina 2017 (Thessaloniki Greece)!! Knowing how wonderful the collectors are in Greece, I think it will be a fantastic show. I hope you will be able to share pictures of it with us eventually! It must be awesome! Like Tiermann said - I'll be looking forward to pics! Thanks for your comments tahra and Tim. It is sure you will see pictures of the dioramas! Except me two more members of playmofriends will take a part to the expo. PCV106 (Vasiliki) and grangel (Angelo) with 2 amazing dioramas 3x2m!! As already George said its the 1st one in Greece! Thank you George for the organization and for giving us this chance! Here is my first photo of my story-diorama! 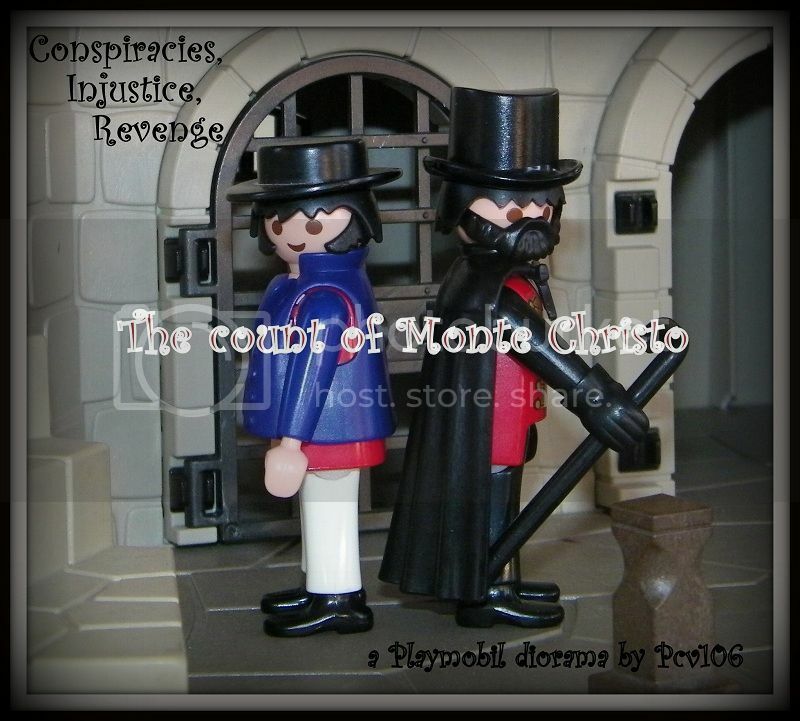 The famous storytale: "The count of Monte Christo"
We will certainly share some photos with you dear friends! That looks cool! Looking forward to pics. 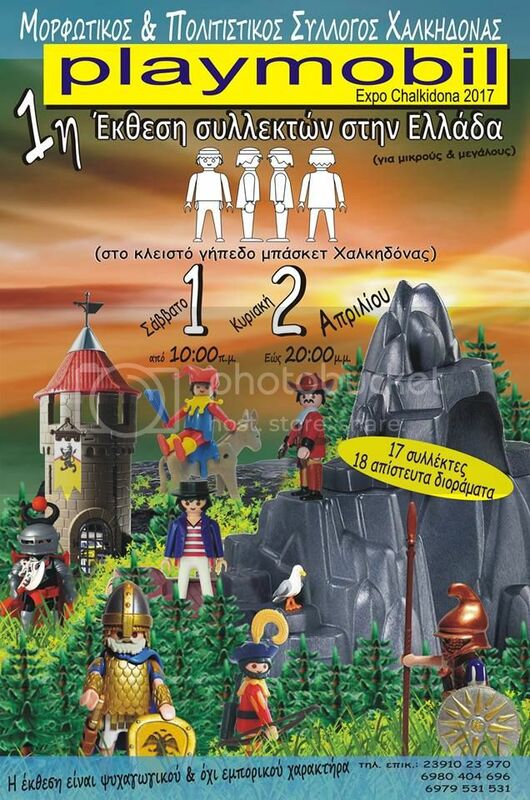 At first I would to say a huge thanks to my friend Georgeag1972 for his efforts to make our dream, reality at Expo Playmobil Chalkidona 2017. I m in position to know how hard and difficult it was.He had to climb mountains to accomplish his goal. T H A N K Y O U !!! G E O R G E ! ! ! ! Constantinople is under siege from a huge and well armed Arabian army! The defenders are limited with low resources.The emperor asked from the high priest to organize a litany on city's wall in order to boost the moral of the defenders. It will be the end of Byzantine Empire or the walls will stand for one more time! That I'm gonna stay and watch it for a long time!!! I'm so happy you will be here for the expo and I'm so thankful. This is a honor for me and I can't wait to see your great dioramas!! It is sure we will have much fun! !